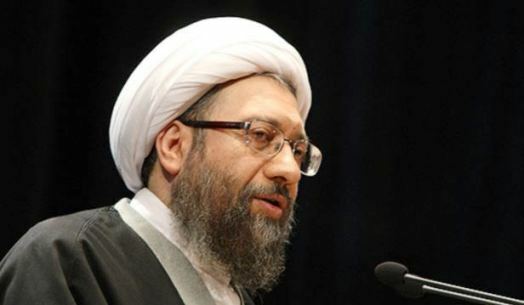 Iran’s judiciary chief lashed out at the American legal system for exonerating the police officers who kill unarmed citizens. Iran’s Judiciary Chief Ayatollah Sadegh Amoli Larijani strongly criticized human rights conditions in the United States and condemned the recent killings of African-Americans by the US police. Amoli Larijani pointed to the reports that (at least) one African-American is killed every day in the US, and lashed out at the American legal system for exonerating the police officers who kill unarmed citizens. “The police even do not let the man on the ground be transferred to the hospital for a while,” the Iranian judiciary official added. Grand jury decisions not to prosecute the white officers responsible for 18-year-old Michael Brown’s death and a fatal chokehold on New York father of six Eric Garner in July, have triggered weeks of protests across the US. Thousands of American protestors have since taken to the streets to express their outrage over police brutality against people of color, demanding justice for black men killed by white police. Earlier, Iran’s Foreign Ministry deplored racial discrimination against minorities, black people in particular, saying that the protests in the US unveiled realities about human rights condition in the country.